Among the meandering waterways of the Tennessee Valley lies the Kingston Fossil Plant, sited at Watts Barr Lake reservoir, about 60 km (40 mi) west of Knocksville, a well-known spot for birdwatching. The plant converts five million tons of coal a year into electricity for the atomic reactor at nearby Oak Ridge and when it was built in the 1950s this was the largest plant of its kind in the world. In the main plant, pulverized coal is burnt to make steam; the process leaves a large residue of tale-line ash, known as ‘coal fly ash’, which is mixed with water to stabilize it. Once the sediment has settled it is removed to a ‘dredge cell’ to dry out. On December 22 2008, after days of heavy rain, a section of the massive clay walls of the dredge cell gave way, releasing millions of gallons of coal fly ash slurry and causing the biggest-ever environmental disaster of its kind in the USA. The slurry flowed along the river valley, damaging houses and power lines in its path, and covering an area of more than 1 sq km (0.5 sq mi) in a thick layer of grey sludge. Inevitably, the run-off flowed into the local waterways, killing thousands of fish and poisoning the bird life. 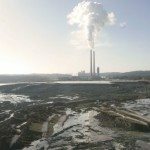 The plant’s owners, the Tennessee Valley Authority, quickly reassured residents that water upstream still met drinking water standards and that the slurry was not toxic – independent tests suggested significant levels of toxic metals – and promised an immediate clean-up. They faced outcry, accusations and demonstrations from local people and environmental groups nationwide and were blamed not only for the spill – reportedly, the unlined tank had undergone repairs for leaks regularly for some years but also for disposal methods generally. Toll: Fortunately, residents in the area were evacuated before the spill reached their homes, but the environmental damage has been enormous. You should know: The TVA emphasized the importance of regaining the public’s trust. Among the goals set out in their year-on report was the provision of ‘health assessments’ for local people. In July 2006, during renewed conflict between Israel and the Lebanon, Israeli bombers hit a power plant at Jiyeh, south of Beirut, and vast quantities of heavy fuel oil escaped from damaged tanks into the sea. The Lebanon had no experience of this type of ecological disaster, which was a potential threat to the whole eastern Mediterranean, and called for international aid. Funding, expertise and specialized equipment came promptly from all over the world, but continued Israeli bombing and a naval blockade prevented immediate assessment or treatment of the damage. 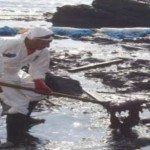 For nearly a month a 10 km (6 mi) wide oil slick drifted with the tides and not only continued to pollute the Lebanese coast but also threatened to spread to Turkey, Cyprus and beyond. The spillage was estimated at around 30,000 tons. Beaches and harbors along a third of the Lebanese coast were smothered in thick black sludge and the sea was transmuted from limpid blue to an evil-smelling pitch-black brew. Underwater surveys revealed that oil sediment had sunk onto the seabed. The United Nations Environmental Program expressed grave concern about the potential environmental and economic effects of the spill. Hundreds of thousands of fish, including spawning tuna, were contaminated, as were the endangered green turtles of the Mediterranean and hundreds of thousands of birds. A coalition of environmental groups worked on clearing land and sea and on a waste-management project to remove and safely dispose of the contaminating sludge. In August 2009 a UN report recommended the establishment of a fund to provide assistance and support for eastern Mediterranean countries affected by similar events in the future. You should know: After the spill, an overwhelming majority in the UN General Assembly passed a resolution that Israel should contribute to the cost of the clean-up. Israel refused, citing as a defense its own ‘ecological disasters’ from Hezbollah shelling. Beekeepers expect to lose some bees, but in recent years a rapid increase in unexplained mass desertions by worker bees has prompted investigation, research and an official name’ Colony Collapse Disorder (CCD). Also called Honey Bee Depopulation Syndrome, it is characterized by the complete disappearance of workers from the hive, leaving only the queen, immature limed and stores of honey and pollen. 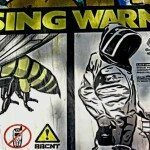 It is widespread in the USA and Canada as well as much of Europe; beekeepers have been reporting losses of a staggering 60 to 90 per cent of their hives. Theories on the causes abound. Outside ‘interference’, such as climate change or microwaves from mobile phone masts, has been suggested; it may be that, foraging bees tire somehow disorientated and cannot find their way back to the hive. CCD could also be linked to pesticide or fungicide poisoning; possible culprits include pest-control characteristics in modified CM crops and new nicotine-based insecticides. Or CCD could be due to disease. Sick bees are known to leave their hives to die and tests continue on various fungal infections, mites and viruses. The virulent Israel Acute Paralysis Virus has been identified in many CCD hives. It is commonly carried by the ‘vampire mite’, Varroa destructor, known to weaken the bees’ immune system. In Spain, the parasite Nosema ceranae has recently been found as a constant in affected hives. It is probable that CCD is the result of a combination of factors but, whatever the cause, the effect should not be underestimated. At risk is not only the honey on our toast, but also the ability of plants to cross-fertilize and reproduce, affecting the diet of the insects, birds and animals that feed on them and ultimately upsetting the ecological balance of the planet. Where: North America and much of Europe, with cases increasingly reported worldwide. Toll: Unknown. But bees serve the vital purpose of plant pollination. Without their aid, who knows what the consequences will be? You should know: ‘Migratory beekeeping’ has increased in the USA. Hives are transported around the country, from farm to farm, crop to crop, for pollination purposes. Many beekeepers earn more from bee rental than from honey production. During the 20th century, our oceans were fouled by pollution of all kinds and now contain increasing numbers of dead zones, where pollution-fed algae deprive existing marine life of oxygen. Oil spills from tankers are the most visible manifestation of pollution, but make up only a small percentage of the total. As holidaymakers avoid flying to limit their carbon footprints, more and more cruise liners take to the seas, and these floating towns discharge millions of gallons of detergent-laden ‘grey water’, oily bilge water and raw sewage. Even worse is the effect of runoff pollution: all over the world, a toxic cocktail of chemicals from factories and agriculture, along with the steady drip of oil from engines of all sorts, slowly but surely leaches into the water. We also toss waste of all kinds directly into the sea where floating plastic litter kills millions of seabirds, marine mammals and fish. 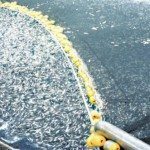 We also kill fish intentionally, and the 20th century population explosion greatly increased demands on fish stocks worldwide, resulting in the near extinction of several species. Quotas and controls may have saved some, such as cod and tuna, but marine biologists are concerned by the decrease in variety of species, as well as numbers, in the fishing grounds. Invasive and indiscriminate fishing methods endanger not just fish, but also ocean life – deep trawling, for example, destroys the fragile ecosystem of the seabed, where unknown species are still occasionally discovered. The oceans cover 70 per cent of our planet and remain largely unexplored. We know more about outer space than we do about what goes on in the depths of the ocean, and we are only just beginning to appreciate both the importance and the vulnerability of our oceans and seas. As the warnings of environmentalists start to be heeded, we just have to hope it is not already too late. You should know: In 1992 a cargo of thousands of brightly colored bath toys fell into the Pacific; they spent nearly a year in the Subpolar Gyre, a counter-clockwise current, before circling the Pacific. For more than ten years, flotillas of yellow ducks were tracked as they journeyed around the world in different directions. They have been valuable to oceanographers studying currents and a delight to beachcombers who find them. Even the most skeptical of critics now admit that global warming is a fact of life, so their line has switched from ‘it isn’t actually happening’ to ‘it’s actually happening but it’s part of a natural cycle rather than manmade’. But few scientists now doubt that the earth’s atmosphere is warming as millions of tons of greenhouse gases – mainly carbon dioxide – are created annually by the relentless burning of fossil fuels and destruction of forests that help to neutralize harmful emissions. While developed and developing nations alike acknowledge the potentially disastrous consequences of global warming, they can’t agree on remedial action. The two super-polluters – the USA and China – refuse to make any firm commitment to reduce emissions, illustrating the key reason why global warming remains such an intractable problem. Developed countries are unwilling to take the economic pain and reduced living standards that would stem from cutting back on existing levels of emission and restricting growth. Developing countries won’t slow economic growth and frustrate the entirely reasonable ambition of their people to share living standards enjoyed in the developed world. So nothing significant gets done. The best projections suggest that – in the absence of drastic efforts to reduce the emission of greenhouse gases – the world’s average temperature will rise by at least 1°C to 6.5°C in the 21st century, with the probable rise towards the top of the range – or even beyond – as the process becomes self-sustaining and feeds off itself. The consequences will be catastrophic, with rapidly rising sea levels engulfing low-lying land, erratic and violent weather patterns, desertification of large areas and mass species extinctions. The gloomiest sages ever foresee a very real threat to the continued existence of the species responsible for creating and failing to check global warming: Homo sapiens. Death toll: Incalculable. Countless natural disasters that have claimed hundreds of thousands of lives between them are said by many to be caused (at least in part) by global warming. 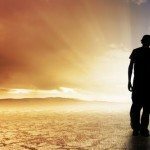 While there is almost certainly some truth in these claims, it is impossible to prove that any particular natural disaster has been caused by, or even influenced by, global warming. You should know: The major climate-change summit that took place in Denmark towards the end of 2009 was billed as the last serious opportunity to secure a binding international agreement to limit the emission of greenhouse gases before global warming started to run out of control. It ended in disarray with complete failure to secure any sort of meaningful deal. Once upon a time, rainforests wrapped around the earth’s equator like an unbroken green girdle – and that time was not long ago, though now rainforests are disappearing at an alarming rate. These very special biological treasure houses contain a huge diversity of plants and animals. They are also home to many different indigenous peoples who have resisted the destructive march of modern civilization. While many tribes remain, representing unique primitive cultures, others have simply been swept away along with their forest homelands. Quite apart from the catastrophic reduction of rich biological ecosystems containing all sorts of undiscovered pharmaceutical resources, the destruction of rainforests has other major ecological implications. Yet wholesale clearances happened throughout the 20th century and the pace of destruction has continued to speed up in the 21st century, despite widespread awareness of the negative consequences for the future of all life on earth, including the future of the human race. 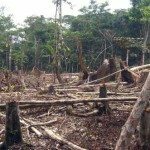 The world has an insatiable appetite for timber, and illegal logging with the tacit support of corrupt governments is a major cause of rainforest loss. So, too, is acute need for cash crops in poor countries blessed by huge expanses of rainforest. Coupled with rising demand for food and green fuel, this ensures that crude slash and bum is used to clear forest land where beef cattle can be raised or crops like palm oil or soya grown. Rainforests are too valuable to lose, for they help regulate climate by absorbing one fifth of the harmful greenhouses gases emitted by human activity, thus slowing the potentially deadly process of global warming and climate change. However, forest burning that contributes significantly to global warming continues apace, while those capable of preventing this unfolding ecological disaster of epic proportions are often complicit in accelerating rainforest destruction. Toll: Continuing damage to an ecosystem vital to the future of every species on earth. You should know: Rainforests once covered 14 per cent of the world’s land surface, an area now more than halved, and if destruction continues at the same rate there will be no rainforest left inside 40 years. Over 100 distinct plant, animal and insect species are lost to deforestation every day – a huge negative when over 25 per cent of pharmaceuticals are derived from rainforest ingredients and less than one per cent of its trees and plants have been tested. The population of Amazonian Rainforest Indians has fallen from around ten million to 200,000, and 90 indigenous tribes were lost in the 20th century alone.